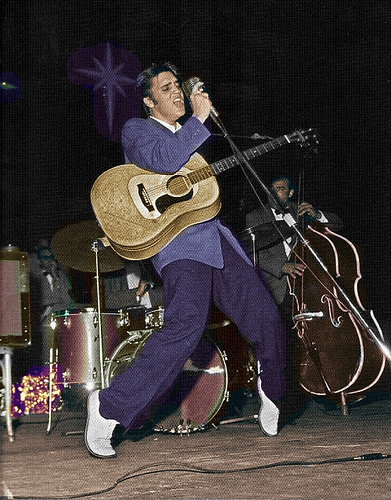 Elvis Presley On Stage 50's, Live in Miami, Florida. Elvis Presley On Stage 50's, Live in Miami, Florida. Wallpaper and background images in the Elvis Presley club tagged: elvis presley on stage 50's miami florida. This Elvis Presley photo might contain guitarist, guitar player, and concert.